Throughout history we see phrases being coined by notable people, and being carried on word of mouth through the ages until we hear them in everyday speech, forgetting where they have come from in the first place. But so many of these phrases have a theatrical background, as this is where we make an art out of language. Such phrases as “in the limelight[i],” “drama queen,” and “you’re so melodramatic”. Now the first phrase is a reflection of the very light that was used in theatres in order to light the actors, to be seen you had to be in the limelight. The second and third are more interesting though as they are used to label the same type of person, someone who shows a grand flair of appearance, or those who make a rather big deal out of something that could be handled quite subtly. But the distinction should be made between the two of them as they are in fact not the same thing, and in terms of theatre they need to be addressed very separately. 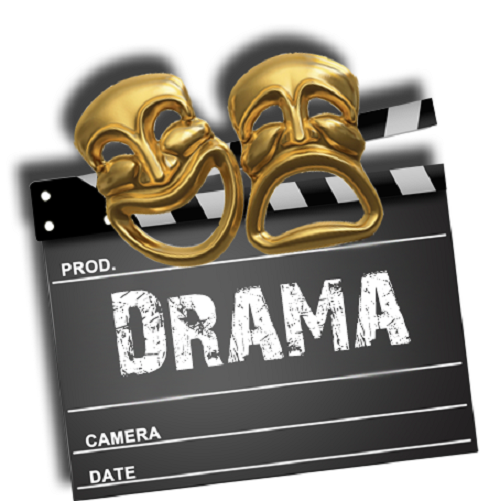 From here there are so many different facets of Drama that it would take an entire book to name and explore them all but it is safe to say that you probably would have studied the majority of them at school and not just in your classroom. Especially in primary school you will see different elements of Drama in the playground or in the lunch hall such as; role play, mime and improvisation. Additionally, Drama is a skill, hence why it is taught in schools and you can gain a qualification in it. [iv] It is a skill in which you learn to take on the characteristics of someone else and draw on your own experiences to build a fictional world that you will then share with others. It is a method of communication and a way to see into the past and future through the retellings of old stories or the invention of new ones. Not only that, but Drama can also be a facilitator for learning, through Drama you can develop problem solving skills, extend your ability to use your imagination or have a better understanding of the idea of the world around you or how to empathise with someone because you can take on the mantle of that person and experience through performance what they are going through. It is used regularly in therapy for people who are unable to connect with their own emotions or understand social conventions which cuts them off from the world around them. All this and so much more equates to the term “Drama”. As a wide term in the sense of theatre and film, Melodrama is the use of over exaggerated actions playing on people’s feelings and emotions often supressing the development of the character in favour of presenting the character as a humorous stereotype. Additionally, Melodrama regularly features simple plotlines and develop the relationships between the characters as the main focus of the performance, using archetypal characters that explicitly represent ideas and concepts such as Satan as the epitome of evil, or an angel as the perfect picture of innocence and good. Melodrama was named so because of the use of music in the performances. For example, fight scenes were often presented against a background of orchestral arrangements that would develop into crescendos in the right places. Or in a romantic scene the actors might be accompanied by a soft, sweet melody that highlights the idea of love and joy. This was used to create an impressionable impact on the audience and develop a further layer of emotion to the performance. It took some time for this type of performance to develop into a term that meant over characterisation, and it became a more and more successful style of Drama throughout the 19th century. This was mainly due to the fact that it was so accessible by all types of audiences. It takes binary opposite ideas and complex concepts and reduces them down to a very simple and straight-forward linear story or one side verses the other. It has no middle ground or grey area to complicate matters and always ends with one side in triumph and the other in defeat. However, characteristics of Melodrama [v]have become quite vague over time and the term has developed negative connotations through the use of terms such as previously mentioned, “you’re so melodramatic!” This causes some confusion to anyone who is studying Drama or Theatre who needs to define the idea. Although used in connection as a term to describe a person’s reaction or character these two concepts are far from the same. A person can display melodramatic characteristics through their movement, gesture and even language, and they can show a dramatic display of action to further communicate an idea, but it should always be remembered that these two terms are in fact very distinctive from each other. It is also worth noting that these two elements of theatre and performance are just the beginning of the ever growing database of styles, and that this is just the surface of what they are and how they are used in performance. Nothing in theatre and performance should be taken at face value as each element has its own layers of definition and characteristics. hayley hart. "The Difference between Drama and Melodrama." DifferenceBetween.net. September 26, 2016 < http://www.differencebetween.net/miscellaneous/the-difference-between-drama-and-melodrama/ >. I like the explanation and the clarity that I get form this advert. I like telling stories and mostly from my experience but it become difficult when I try to jot them down because I don’t have skill or a clue on how to do it but my stories are rocking for sure and it a truth. I would like you to send me some guideline on how can I jot down my experiences.